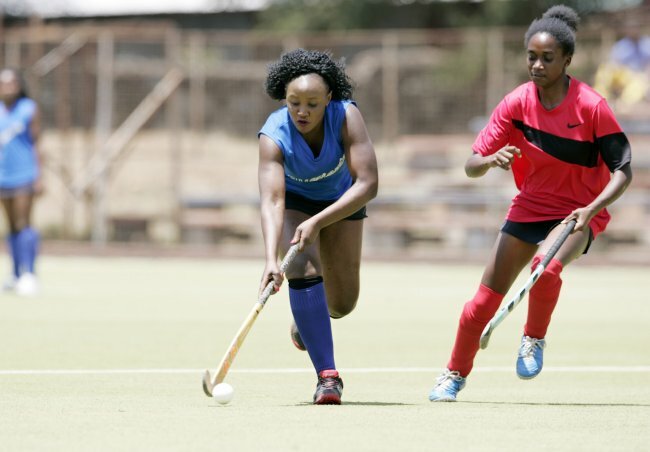 Parklands Sports Club (PSC) bounced back from a midweek loss to beat Kenyatta University 1-0 in a Kenya Hockey Union men’s Premier League match at the City Park Stadium reports Alvin Wesonga. They settled faster into the match but were nearly caught unawares in the fourth minute by KU's pacy forward Lawrence Makhatsa who shot wide. The students dictated pace in the first quarter but coul not get past the solid PSC backline marshalled by Oscar Mmbuka. Goalkeeper Farhad Shire denied the students in the 14th minute and towards the end of the first half. Eric Odendo scored the lone goal for PSC in the 47th minute from an Allan Odongo pass. PSC maintained their pace but Franklin Kiyondi failing to double the scores in the 54th minute after goalkeeper Denis Nyongesa denied him with a superb save. After the match, Kenyatta University coach Moses Kagochi said they improved from their last matches. ”It is evident we have developed as a team, despite the loss we have worked as a team and you can see we have improved on how we play,” said Kagochi. But, the coach rued wasted scoring chances from penalty corners. "We had more penalty corners than our opponents and were unable to utilize any of them so l think we need to work hard on how we take penalty corners,” added Kagochi. Fred Okeyo the PSC captain said the win did not come easy. "After the midweek loss we knew this was a chance to redeem ourselves and this was a must win match. We however fought hard and that was a brilliant result for us because we deserved it from the start,” said Okeyo. In other men’s Premier League match Nakuru beat visiting United States International States University-Africa (USIU-A) 1-0 while Park Road Badgers drew 2-2 with Chase Sailors. In the women’s Premier league Sliders beat Kenyatta University 1-0 with a goal from Charity Miller while Jomo Kenyatta University of Agriculture and Technology (JKUAT) beat Multimedia University 4-1. In the men’s National League Wazalendo Masters emerged 3-0 winners over Thika Rovers while Mombasa Sports Club (MSC) drew with visiting Park Road Tigers 2-2. Premier League men: PSC 1 Kenyatta University 0, Nakuru 1 USIU-A 0, Park Road Badgers 2 Chase Sailors 2; Premier League women: Sliders 1 Kenyatta University 0, Multimedia University 1 JKUAT 4; National League men: Wazalendo Masters 3 Thika Rovers 0, MSC 2 Park Road Tigers 2. Wednesday fixture: Chase Sailors vs Kenya Police ( 6 p.m.).